Roland Orzabal, formerly of Tears for Fears, discusses his new album, the impact of deaths around him on the new material and working with his former band-mate Curt Smith again. The British duo, Roland Orzabal and Curt Smith, also known as Tears for Fears, swept the charts in the '80s with mega hits such as 'Shout', 'Everybody wants to rule the world' and 'Sowing the seeds of love'. Jumping on-board the early MTV video craze, the angelic-looking Smith and the pensive, contemplative personae of Orzabal, captured worldwide recognition for their brand of intelligent, introspective synth pop. Their debut album in '83, "The Hurting" was followed up in '85 with the hugely successful "Songs from the big chair", much of it based on their then obsession with primal therapy. The latter delivered two number one hits in the USA, along with a bevy of awards. The lads from Bath became the poster boys for adolescent angst. By 1989 and the release of 'The Seeds of love', TFF had broken free from the early musical straitjacket and produced a remarkably expressive album of pivotal work (featuring the soulful talent of Oleta Adams). But the seeds of discontent between Orzabal and Smith were apparent. Splitting up due to creative and personal differences in 1990, both pursued solo musical careers. 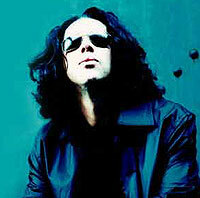 Smith moved to America, Orzabal remained on home-turf, continuing under the mantle of TFF and releasing four albums; "Tears roll down/Greatest hits" ('92), "Elemental" ('93), "Raoul & the kings of Spain" ('95), "Saturnine, martial and lunatic" ('96). After a five-year hiatus, Orzabal is putting aside both the TFF moniker and more importantly, the TFF themes that have come to identify him with the emotional turmoil that dominated the early albums. Launching his new CD, "Tomcats Screaming Outside", under his own name, Roland hopes to pursue the freedom to create music without the baggage of being considered an 80's retro band - leaving him open to the future possibility of writing, recording and touring again with Smith as TFF. From his hometown of Bath, he discussed the decision to record as just himself. "I was on tour last time doing 'Raoul & the kings Of Spain' in Bogota, Columbia and had a few very, very difficult days of promotion. They were advertising the concert with songs like 'Mad world' and 'Change'. I don't think we had a hit there since 1983. We had a lot of problems with the lights and sound - getting the whole show together, but finally, when I stepped out on stage and after three or four numbers, they were going mad. At the end of the show it was just absolutely phenomenal. Yet during the encores, in my mind, I said, 'I've had enough of this, the whole history of Tears for Fears'." He says that he knew he had to go away and try something else. He wanted to get away from the whole subject material that has been pretty consistent from the beginning and try and go into different areas. It took a while. "I wanted to take away the burden and history of Tears For Fears. I'm not saying that, in the future there won't be another Tears For Fears album, there quite possibly will be. I wanted for this one to take the pressure off, remove the sword of Damocles that's been over my head after every album, and just see where it goes and how it would feel to cut off from the past a little. Not worry about the commercial aspects, how many records are going to sell and that rubbish. Just try on another suit of clothes for a while." The title for the new album, "Tomcats Screaming Outside", came from a remark made by his wife. Roland had been struggling to find an album title for some time. Then his wife's father collapsed and they got a phone call from the hospital at 1:30 in the morning. As his wife went out the door, she said that a tomcat was screaming outside, which he heard as "Tomcats screaming outside" and thought, "hmmm... that's it!" "I thought it was a good title. I wanted something with an urban feel to it. It's more a title of a film or novel, and not the title of a record. Once we'd done the artwork and I chose the album cover, and I saw the title in a certain font, I thought, 'That's good, that's another world and it's different than anything I've done before'. Recent tragedies in his life, including the death of his wife Caroline's parents, influenced some of the themes on the album. "It's difficult when people are dying around you. Caroline lost her mum two years ago, and her dad recently and although they aren't my parents, it does affect you, big time, especially when you see what your partner is going through. We lost our gardener, a good friend of mine lost his wife - a lot of death, I'm afraid. So you see with the lyrics, 'Hey Andy' - 'When I die you'll be waiting for me', I'm trying to gain some understanding of it." The album was co-written and produced with Alan Griffiths, who Roland describes as being obsessed with music, and a bit of a librarian. "The way he catalogues music, sounds and samples. He is extremely critical about music as well - it's his whole life. And working with something like that, in terms of only working with another person, it's brilliant because your own obsessions and instincts are tested against somebody else's. Alan won't rest until he feels something is on the right track. Between the two of us, we can do most things and it's amazing." 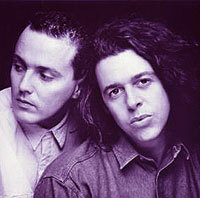 However, Tears for Fears fans will be happy to hear that Roland has been writing with Curt Smith again after ten years. They have had on-going business together dating from their time together in the band and Roland contacted him in connection with one of his properties in America. Curt replied with an email saying, "Thanks, brilliant, that's excellent. Give me a call, or I'll call you". They spoke on the phone, and Roland says, laughingly, "after that long I think we both realized that we'd grown up! "So much time had elapsed that I think we both realized we were different people, big time. We stared talking again, which was kind of a relief really, as there were so many horrendous grudges kinda floating around. We really have gone in different ways, although we are both in the music industry. We aren't tied to each other so we are going to try it out. We did a couple of weeks together in October and in L.A. in December. "It's strange, 'cos in the 90's when I started working with Al, we'd get together and just write songs. We'd jam and it almost sounds finished while we are jamming. That wasn't how it was in the old days - writing songs was like getting blood out of a stone. Everything was so laboured and studied. Then, when I hooked up with Curt again, it was very strange not to be working in the stream-of-conscious way, which I had been doing with Al." They went into the studio and tried to come up with something that was more commercial. Roland describes it as a frustrating time. "Then something broke all of a sudden and it was really, really catchy! It's been nothing like I've been doing, more like the 'Seeds of love' period. We've got a couple of tracks, but it's a very different way of working. I've been working with Alan as well in regards to a TFF album. Curt is in LA and I've been going over and working at Alan's place, all towards the same goal. Also Charlton Pettus, who Curt's been working with for years, so he's involved as well. A big family get-together!" There have been a few offers from labels and promoters in relation to a Tears for Fears reunion, but they haven't taken anyone up on the offer. Roland said that they wanted to see whether they were still fertile. "At one point, out of the two of us, regardless of who did what, there sprung up an interesting beast. The fact is that I've had enough with doing TFF as myself, as me. I wanted to truly be on my own and therefore that leaves the option of Tears For Fears - what is it, what was it, does it have a future... we don't know. We're going to get together and see what emerges. Yes, there has been a lot of interest, but you can't live your life by those things, it has to feel right. I don't think either of us are the type of people who could actually put our prejudices aside and say, 'We're going do this for the money.' We're not like that." In fact, Roland says that he made more money in the '90s than in the 80s, due to better contracts, more control, more of a catalogue. So, financially, he has done all right out of Tears for Fears. As for the fame, he doesn't miss it. "I was never a fame junky. I always liked the task and project of making records. When I went out on my own, I loved performing. To do great work, in my own opinion, is enough. What's been good, is my level of success and fame has always been controllable. Had I been as big on my own in the 90's as I was in the 80's, it would have unleashed a monster! Most of the success has been outside the country and you can't go through a career of 20 years of making records and not go through a major blip. "I feel I've been lucky, to do what I do, and survive and make a living. At the end of the day, your life doesn't evolve around success, but evolves around your immediate relationships, and that's what makes your life extremely rich."